are called to protect the flock. Jimmy Meeks will give a presentation on the Three Pieces of Evidence that justify church safety practices. It has been said of his presentation that, "there has never been a stronger call to action." Carl Chinn will walk you though what happened at the New Life Church tragedy (Colorado Springs, CO - December 2007). Several worshipers were shot; two precious sisters were killed. Carl also worked for Focus on the Family when, in 1996, a gunman entered that property and took several hostages - one of whom was Carl. He will share with you the priceless lessons learned from these tragedies. Colonel Grossman will "zoom out" into all of society and talk about what it means to be a Sheepdog wherever one is - the church, the school, the mall, the theater - anywhere and everywhere. if you have heard him before, you know what we are talking about. The Sheepdog Seminar is is a response to the violence that reeks havoc in our world. It calls upon the defenders to take their stand. In a one day seminar it is impossible to impart all of the information that churches - and society as a whole - need in order to create a safe atmosphere for their communities. However, when you leave the Sheepdog Seminar, you will know exactly what you need to start doing. They are affecting people across the country. Just since the first one (Denver - 2014), attendees have come from all over America (and beyond). At the Spokane Seminar (January 2015) attendees came from as far away as Alaska! Police may be able to get continuing education credit for attendance. We will do all that we can to help make sure this takes place. Since 1999, over 800 people have died a violent death while on church or faith based property. * In addition, thousands of children have been sexually molested while on church or faith-based property (or at church-related events). A segment of the Sheepdog Seminars for Churches is designed to help churches and faith based property be prepared against such violence. We believe our call is God-given, Christ-centered, and Spirit-directed. The effect of Jesus on our lives drives us to take a stand against violence, thus fulfilling the words of Psalms 11:5: "...The Lord hates...violence..."
One of the original callings bestowed upon man was to defend others - to act in the capacity of a sheepdog. 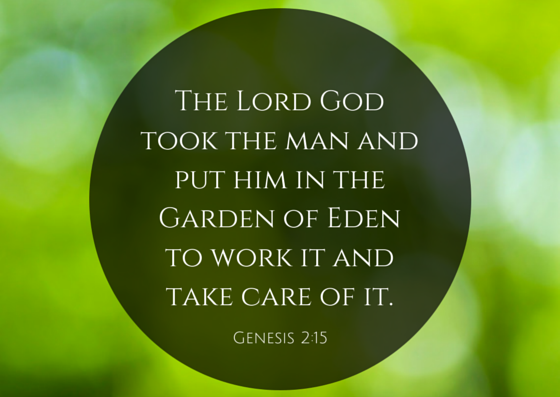 This is made plain in Genesis 2:15. The man was put in the Garden to "keep" it, we are told. The Hebrew word "keep" means to "defend, protect, save life."